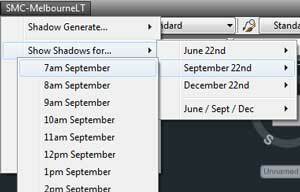 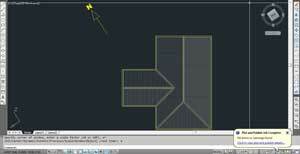 How to draw Shadow Diagrams in AutoCAD with Shadow Multi Cast software. 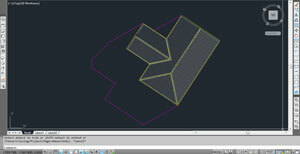 First thing is to save the current AutoCAD UCS. Doing this makes it easier to rotate the screen as you will see later. 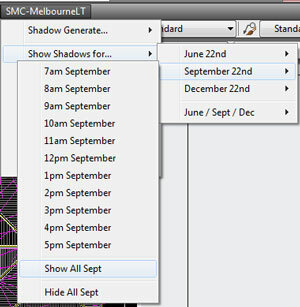 Goto Shadow Multi Cast menu, highlight over Rotate Screen, Goto Save UCS and left click on Original. Your current UCS is now saved. 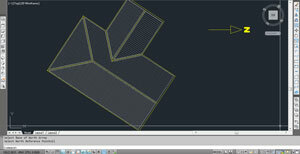 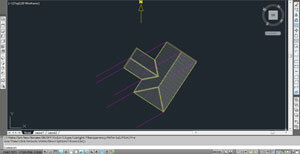 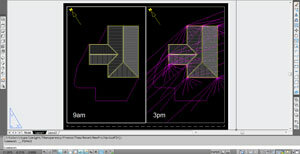 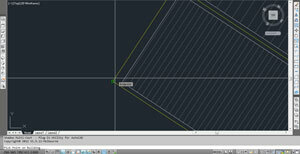 Next we need to change the screen rotation in AutoCAD to have the north point facing Up the screen. Goto Shadow Multi Cast menu, highlight over Rotate Screen, then left Click Free UCS. 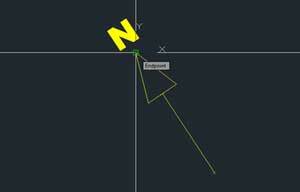 You will be prompted to pick a point, pick the bottom point of the North Arrow in the Tutorial-1 drawing. 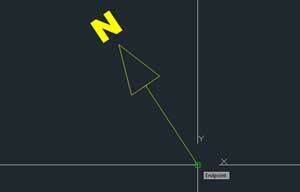 Your screen should now have the North Arrow facing towards the right of the screen. 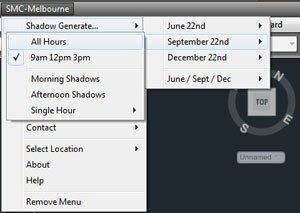 To make the North Point face up the page, goto the Shadow Multi Cast menu, highlight Rotate Screen then left click 90 Counter-Clockwise. 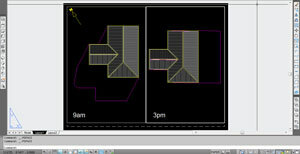 The screen will now rotate and the North Point will be facing up the screen. 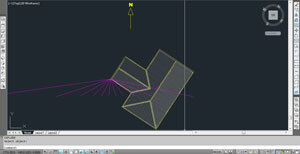 Now we want to save the UCS again but this time as NEW. 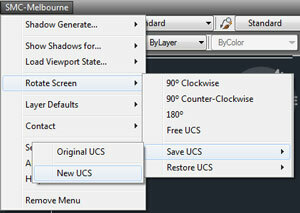 Goto Shadow Multi Cast menu, highlight Rotate Screen, highlight Save UCS then left Click New UCS. 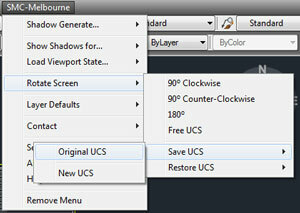 To switch between Original and New UCS, use the Restore UCS menu under the Rotate Screen option.